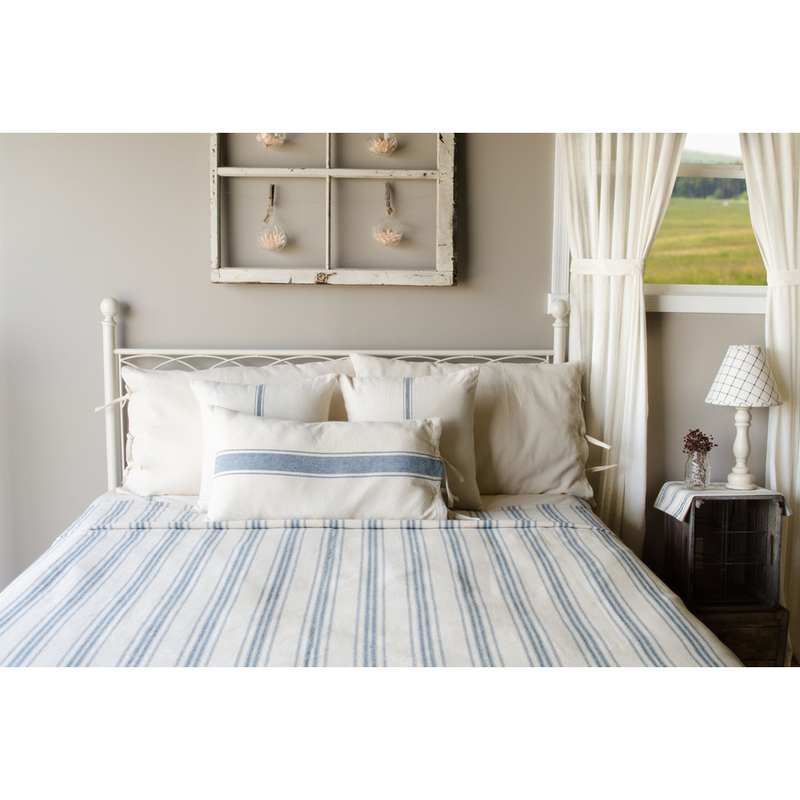 Grain Sack Stripe Queen Bed cover is made of cotton. The design is timeless and will enhance your bed room. Size is 94" x 104".